Most bloggers would love to see more of a sense of community among the regular visitors to their blog. Sure, discussions sometimes take place in the comments of various posts, but it all seems a bit disorganized and they never really get off the ground. 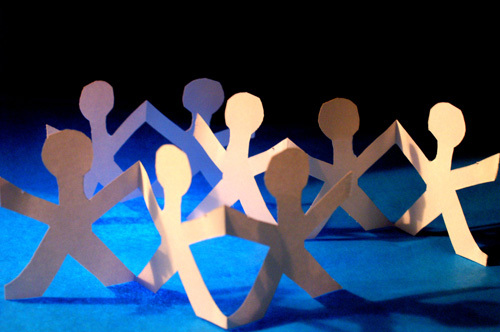 There has to be a better way to create a real sense of community on a WordPress blog. The good news is that there are plenty of great plugins out there that can help you get your visitors more involved in your blog. Some are simple: they let your users submit content they think is useful, or make it easier to have a real discussion in comments. Others are more complex, on par with full-featured social networks like Facebook. All of them can help you create a community surrounding your blog and your content. Even if you post on your blog every day, sometimes it would be nice to have some help. So why not ask your regular visitors to submit content they think your other visitors might find useful? Of course, they can do this already by emailing you or adding a link in the comments, but then you still have to do most of the work. The plugins below will simplify getting these user submissions to a publishable state on your blog. Community Submitted News lets any visitor to your blog submit content. All content is sent to a moderation panel and nothing is made public until it has been approved by an administrator (which prevents spam postings from being made live). It’s a great idea if you have an active community surrounding your blog but don’t always have time to write original content. It also gives your blog’s readers a more active role in content creation. WordPress Wiki was created by the same developers who created the WP e-Commerce plugin. It’s a full-featured wiki plugin for WP that lets you specify certain posts or pages as editable as wiki pages, while leaving other pages or posts in their traditional, un-editable format. FV Community News is another plugin that lets users submit posts from other blogs to your site for inclusion. It includes a moderation panel and works within a widget on your site. It also has built-in spam protection and give administrators the ability to edit submissions. The TDO Mini Forms plugin lets your subscribers or even non-registered users submit or edit posts and pages. Submissions are kept in “draft” form until approved by an administrator. The same can be done with edits. It can even be configured to work with Akismet to filter out spam submissions. Even if you’re not interested in setting up a social network surrounding your blog, wouldnt’ it be nice to see your visitors able to better interact with each other, and for you to be able to interact with them more easily? Whether this means setting up a forum or just making it easier for discussions to take place in your comments, the plugins below will help. The Gigya Socialize plugin lets you incorporate social APIs (like Facebook Connect, Twitter, Google, Yahoo, LinkedIn, and MySpace ID) to your site and let your visitors become more engaged. Visitors can invite friends from their preferred social network. It also lets you publish status and newsfeed updates directly to your social networks. Adding a forum to your blog is an easy way to increase interaction among your visitors. WP-Forum is a simple discussion forum plugin. It can be used with a single WP blog or with WordPress MU. Adding Threaded Comments to you WP blog lets you turn the comments section on every post into a discussion, where users can reply directly to other users and have their response appear directly under the original comment (rather than just in chronological order). It’s a great option for encouraging your visitors to engage not just with you, but with each other as well. Comment Per Paragraph is actually a WP theme, but it has some valuable features that can really add to the interaction on your blog. Basically, this theme lets your visitors comment on each paragraph within a post, rather than just at the end of the post. It makes commenting or discussions on specific points within your post much easier and more user-friendly. Digress.it is a plugin that lets your visitors add notes in the “margins” of a blog post, much the same as one would in a book. The difference here is that these notes are visible to everyone, and anyone can add a note. It can be used in an educational setting, to annotate a post, or even to offer criticism. Feedback by Paragraph is another plugin that lets users leave comments on individual paragraphs within a post. Comments are shown in a Thickbox pop-up. Comments here respect settings of individual posts as far as who is allowed to post, and moderation policies are also honored. The fact that paragraph-level comments are kept separate from the main content is a nice feature that makes it easy to implement without requiring any kind of redesign. If you want to go all in and create a social network on your WordPress-powered site, the plugins below are the place to start. They range from very simple plugins that basically just let you set up user profiles to full social networking packages that let your users do almost everything they can do on mainstream social networks like Facebook or LinkedIn. BuddyPress is a powerful set of social networking plugins for WordPress. It’s quick to install and set up, and can be as complicated or simple as you want. One of the nice features about BuddyPress is that you can turn on or off specific features whenever you want, making it as powerful or simple as you need. Mingle is a simple social networking plugin for WordPress. It works with most WP themes, and lets you set up profile pages, friend lists, profile page posts (like status updates), profile activities, social comments, and email notifications. It’s not as full-featured as BuddyPress, but it’s also simpler to set up and works with a wider range of themes. The Customize Your Community plugin lets you not only change your WP login page, but also makes it so subscribers to your site are redirected to a profile editing page rather than the WP backend. It changes the way your registration, login/logout, and lost password pages look so they no longer contain any WP branding information. Users with roles set to anything other than “subscriber” will still see the traditional WP backend, though login/logout pages, etc. will show the customized design. This plugin lets you create group or community blogs with multiple authors within BuddyPress. Administrators on a BuddyPress site can use the plugin to give a member registered user status to any blog they choose within the site (or multiple blogs). It’s a great option for extending the collaboration features of a BuddyPress site. Profiler creates user profiles for every registered user on your blog, including Gravatar images. It also creates a members directory and can be used with the User Photo plugin and the Whisper plugin. Think through the kinds of social interactions you’d like to take place on your blog and then find a plugin that will help you foster those interactions. The above list isn’t exhaustive, so if you know of other great WP plugins for building community around your content, please add them in the comments below! 20+ WordPress Plugins for your Membership or Community Site – A great roundup of plugins useful specifically to membership sites (including paid membership sites). 10 WordPress Plugins to Help Build Community – A collection of plugins that can help build a sense of community on your blog. Creating a Social Network Using WordPress MU – A tutorial for setting up your own social networking site from Holdfire. How To Build a Social Networking Site Using WordPress – A great article from MakeUseOf.com on using BuddyPress to create a social network. EXCELLENT blog post dude. I will have to look into some of these plugins. Does BuddyPress sloooow down a WP site though? Just curious. they can do this already by emailing you or adding a link in the comments, but then you still have to do most of the work. The plugins below will simplify getting these user submissions to a publishable state on your blog. Nice read. Thanks for this info. Great list…some plugins I didn’t know about that I will be trying out. THX! But what is the best way to get your site’s community to reach out to the rest of the world? you can thread comments under the discussion settings. why use a plugin when it is already a WP feature…. Because not everybody has 2.9. A nice post. And thanks for the mention of Feedback by Paragraph. awesome…I’m working on a wordpress community site right now. I’ll be checking some of these out for sure. Thanks! really useful post. thanks again. Great article and resource for community driven sites. This is great. Thanks for the suggestions. perfect – a few months ago i have to search these plugins by myself, so sad that this post comes “too late” thanks for sharing! I’m a big fan of BuddyPress, but have yet to use it. I think it’s tough to for a company to try and execute a social network in addition to something like Facebook. But I think BuddyPress can make it easy to facilitate. Also, bigger plugins like this would do well to hire a designer and lay down some incredible GUI interfaces to showcase all their plugin does. The average person doesn’t read everything and then make a decision – they like to see it in action as a means to reading about it. What a fabulous post. As a long-time WP blogger, I find this one of the more valuable posts about the platform. And definitely useful to me NOW, as I’m exploring setting up a community site soon. This article would be so good, only trouble is, over half the plugins are not compatible with the latest WordPress, and who wants to run an unsecure community site? If your gonna write a “top X” blog post (as you do, a lot), maybe do a little bit of research first instead of just thinking about the SEO or the profile building? 10x very much. Inspiring work for me . Good share, Thank you for a useful post. Thank you for sharing. Have a good articles in your blog. WP-FORUM has know security issues and allows you entire site to be compromised. Just an FYI. Developer no longer answers requests. I haven’t read it all yet but i will when i have more time.. Thanks for the great info and great list of plugins. Great info for a newbie like me, thanks a lot. BuddyPress is quite hard to implement into an existing theme, in my experience. i think that list too much, as a beginner blogger I must be too difficult to handle all of them. I love Mingle, great for profile information and such. BuddyPress seems the most allround community plugin. Great set of plugins. Thanks for sharing the info! Plugins are a huge time saver. Thanks! Thats what I was looking for, big thanks..
Great Plugins! we will bookmark this for our psdtowordpress.co.in client projects. WordPress is growing popular day by day and plugins like this makes it more strong. Very nice post… very useful… Thanks a lot. Must say Great! I’ll use these plugins and come back again to give another great comment for you! Great Plugins! we will bookmark this for our psdtowordpress.co.in client projects. WordPress is growing popular day by day and plugins like this makes it more strong hotel. i think that list too much, as a beginner blogger I must be too difficult to handle all of them empresas. Thanks for the ideas. There are some great examples here. With all these plugins its so easy to make a complete portal for my clients. love the collection, thanks cltr+d plus added to my feed reader. The list is great and the info is fantastic! Some useful plugins in the article. Just something we need for our web project in the moment. Will this work for WordPress.com blogs, or is this just applicable to self-hosted WordPress blogs? Thanks. wow! thanks for this list of plugins. nice plug-in list. I will try some on my blog. This post was really helpful. I used some of the plugins listed here in chithara. Thanks for sharing. Very nice post. Some of the plug-ins are must to use in wp Blog. Thanks for sharing. These are very useful information. I been trying to use multiple plugins to turn my site into social network, I’ll try some of these suggestions here. By the way, I tried this wp-symposium with my new site, this is nice for social community site. what an awesome post, and a great help to me. I’m a UK blogger, yet my interraction with others from the UK in the blogosphere is almost non existent. I am just setting up a section on my new blog where i want to allow others from the uk to showcase their blogs, you have just provided me with some great tools. Thank you. Does symposium have security features in case members post explicit content or even explicit avatar pictures? nice to notice, that there is much more than BuddyPress! Thanks for the pointers – I was hoping Buddypress was going to fit the bill for a new project, but it might prove a bit overblown, so discovering Mingle could save a headache or two. Good Post. Quite interested in the community side of things. I am facing a following problem. When i login into my website for modification following problem is shown in post. Can you suggest any plugin if I want to make my website a class room. Thanks for the article. These plugins is so easy to make a complete portal for my clients. Hope you could provide more of such good resources. very nice post and very well written..bookmarked.. I know this is an older post, but lately CommentLuv has taken off as another great plugin to create community, especially among bloggers. Thanks for all the plugins, is there any plugin for wordpress to let users comment with a simple rich text editor where they can also embed images. Thank’s for this (Building Community Sites with WordPress: 15 Plugins to Get Started) great tutorials. I was having a hard time with those. what ate the example of building community website? Thanks for sharing the list of helpful WordPress plugins. While I was reading I feel something to do. Means your article content is efficient to do some action. Means actionable content. Really very good stuff.